Among the many unique and impressive rarities in our December 13 Maps & Atlases, Natural History & Color Plate Books sale is Across the Continent, 1868, by Currier & Ives. Significant for its subject matter and memorable provenance, the work comes to auction, by descent, from the noteworthy collection of Thomas Winthrop Streeter. Image courtesy of William Reese Company. 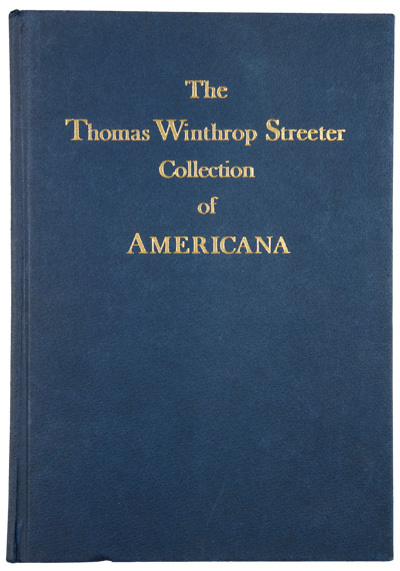 Streeter was the leading collector of Americana in the twentieth century. The dispersion of his collection resulted in multiple contributions to a range of institutions and a monumental series of auctions–21 sales over three years from October 1966 to October 1969, organized in accordance with Streeter’s wishes. 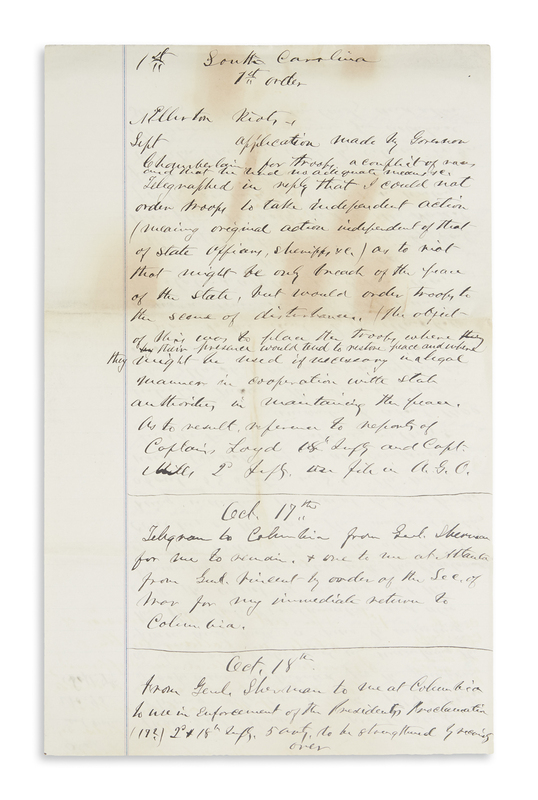 The sales and subsequent catalogues would form a foundation for research in Americana for historians and collectors alike. 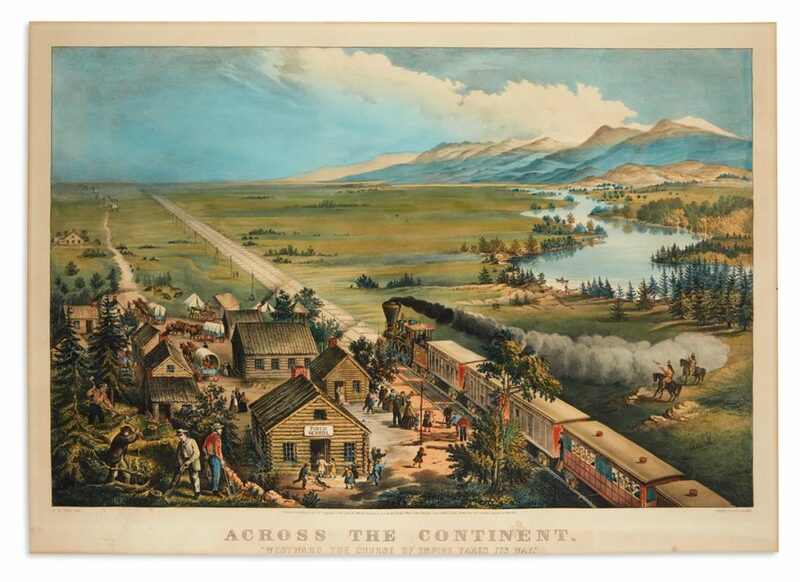 Lot 342: Currier & Ives, Across the Continent, New York, 1868, formerly in the collection of Thomas Winthrop Streeter. Estimate $7,000 to $10,000. The bottom text of the Currier & Ives print reads, “Westward the Course of Empire Takes Its Way” which encompasses the subject matter of the large hand-colored lithograph: the changing landscape of the mid-nineteenth century American frontier upon the completion of the Transcontinental Railroads. A small village of log buildings, replete with a church and school, abuts the wilderness and mountains as the railroad runs out of town parallel to a well-worn wagon trail. The industriousness of the pioneers is palpable as they toil to build their community while some break to celebrate the crowded train rolling through. In contrast to this burgeoning sense of optimism, the scene also conveys a subtle, sad, political message: as the locomotive pulls away, its billowing smoke trails behind shrouding and clouding the view of two Native Americans toward a herd of running buffalo on the pristine prairie beyond. The present copy of Across the Continent was given to Thomas W. Streeter on his 80th birthday by his four children in 1963. 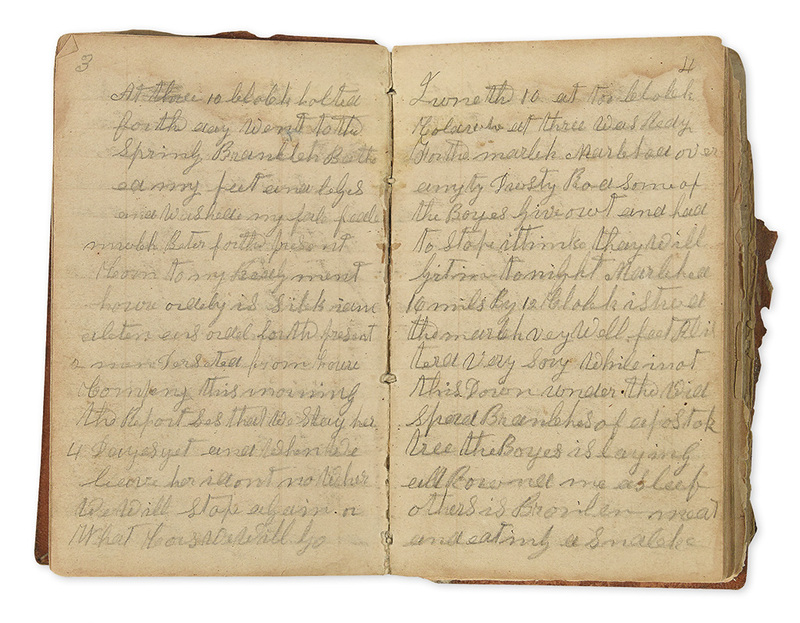 Following the collector’s death in 1965 the work was passed down to Thomas W. Streeter Jr., his youngest son. The subject matter of the scene was especially close to the Streeter family. Among the many areas of his collection, Streeter had a thorough selection of early American transportation material, especially railroads, which was bequeathed to various institutions. Much like their father, Frank Sherwin Streeter and Streeter Jr. had a love of transportation, especially the latter who would take his family on train rides in the US and abroad that would later be remembered as “fantastic.” Additionally, the family’s history is steeped in railroads with ties to the founding of the Northern Pacific Railway, as well as an express company that would become American Express. 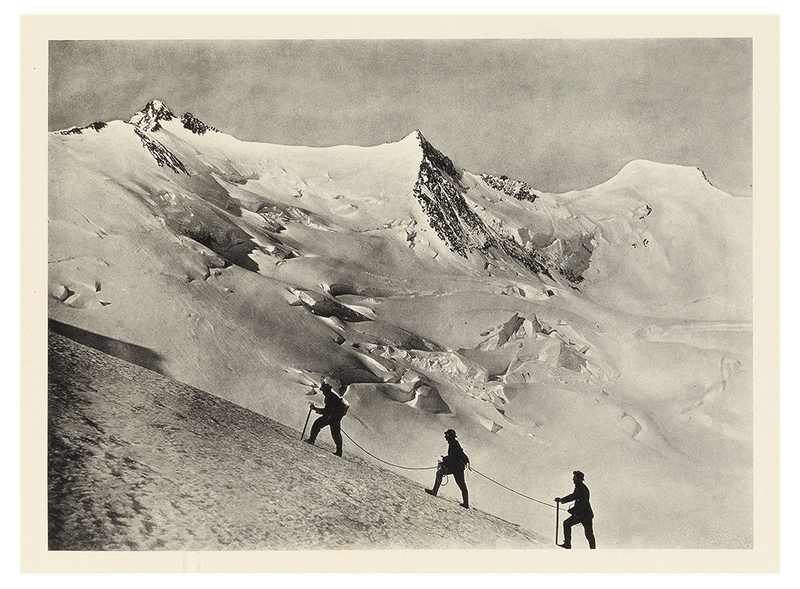 Across the Continent is one of the best-known collaborations between Fanny Palmer–the illustrator who produced nearly 200 lithographs for the company–and Currier & Ives. Collaborations between Palmer and Currier & Ives have performed well at auction in recent years: The “Lightning Express” Trains sold at Swann in 2015 for $15,000. For more in our December 13 sale, browse the full catalogue.